Spring is in the air, and that means it’s time to delve into some new foods! GSK has some amazing recipes just waiting for you! Eating healthy is a goal that many of us are pushing for, yet, it seems so hard to attain. Taking care of our bodies, while physically pushing them each day can take a toll. Ensure that you are giving your body the best that you can by eating right, like with this delicious recipe. The “Open Face Goat Cheese, Arugula and Roasted Sweet Red Pepper Sandwich” is an amazing treat, and just because it’s a sandwich doesn’t mean it’s just for lunch This is also a great snack for late nights when you want something nutritious. All of these ingredients are also conveniently located at your local commissary, although some availability will depend on location and selection. Adding the benefits of Benefiber only increases the healthy push that you are striving for! Keeping your body fully regulated, from top to bottom, will help you to feel better, and function better. By keeping your insides feeling great, it will help with the overall feel of health! 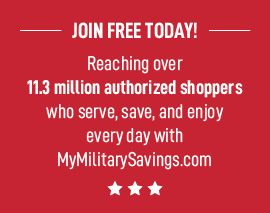 Head over to your local commissary and stock up today! Check the savings page for great deals! Don’t forget that you can get Benefiber On-The-Go! This will help with those busy lifestyles and crazy days. Good times are just ahead! Get ready for some great eats and treats! Preheat oven to 375 degrees. Place red pepper on a small oven proof tray and cook until red pepper is lightly browned and peppers are soft, which takes about 15 minutes. In a small bowl combine goat cheese and Benefiber®. 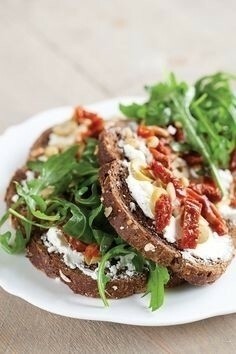 To assemble the sandwich, spread bread with goat cheese mixture, top with arugula and top with sweet peppers. Serve.